Suzuki Celerio Review 2019 | What Car? 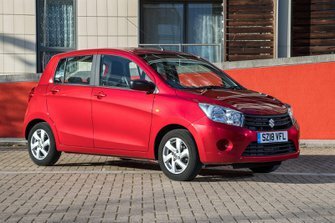 The Suzuki Celerio is the Japanese brand's smallest and cheapest model, and with such a bargain basement entry price, you’d be forgiven for expecting it to be about as basic as a cardboard box on wheels. But that’s not the case at all. In fact, all versions come with an equipment list that includes a DAB radio and electric front windows. The 'posher' SZ3 model even gets air-conditioning, Bluetooth and alloy wheels. There’s only one engine (a 67bhp 1.0-litre petrol), but every version has five doors and the Celerio competes surprisingly well with pricier rivals, such as the Kia Picanto and Skoda Citigo, when it comes to practicality. 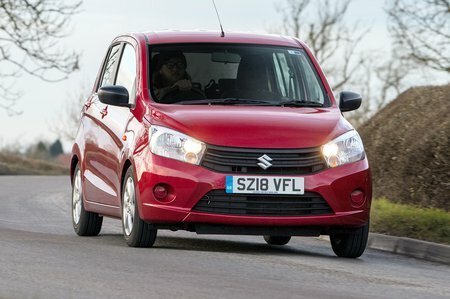 It's cheap and roomy, then, but how does the Suzuki Celerio compare with the best rivals in the hotly contested small car class? Read on over the next few pages for our in-depth impressions, plus our thoughts on which trim makes the most sense. And remember, if you want to buy a Celerio, then don't forget to check how much we could save you on the brochure price by clicking here.